The real lesson is that most failure modes have multiple things that can cause the failure. That's why you should diagnose the problem down to the failing component and not just throw parts at it. We've got a great site here, with helpful members, supporting vendors, GM techs and a search engine for researching every post for all things Corvette. If you feel you were coerced into purchasing parts and making unnecessary repairs by unscrupulous members or vendors, please provide a link to the thread where these discussions took place. I've never been aware of any of our vendors trying to trick members with issues and I feel confident my fellow staff can make the same statement. The reason for this is the staff would be made aware of the behavior and they would be permently banned from the site. To imply that the site staff or site owner is guilty of allowing such tactics is irresponsible and reckless. If that is the case, then the Administration needs to be notified of that ASAP via PM or Email. IF we don't know anything about it, or we don't know who it is, there's nothing we can do about it. Dallas, I suggest going back and reading your first thread regarding this issue and in post#4, you'll see that a member suggested you start with the fuel pressure readings before going to the expense of replacing injectors. 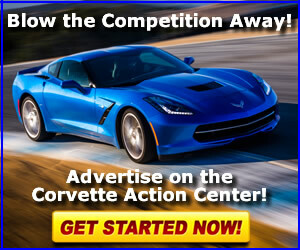 The member that suggested you replace injectors gave no troubleshooting advice and in fact the only response was links to another website - not the Corvette Action Center. It is on that site that FIC is a supporting vendor. In another thread, a member clearly stated that your fuel pressure readings were too low. In fact the only time I saw a member directly state it was your injectors was after you kept referring to them while disregarding all the troubleshooting advice offered by members, including a Staff member. Our Supporting Vendor here, did not coerce you into buying injectors from him, but in fact offered a link for members after you stated you were ordering the injectors. I've read nothing yet to indicate to me that any CAC member, Staff or Vendor tricked you into doing anything you didn't make up your own mind to do. I can't speak for anything said on another site. DallasK, Did your injectors ohm out within the suggested range? Sooo--- let me get this straight -you came to this forum--hat in hand--asking for advice because YOU COULDN'T FIX IT YOURSELF and some of the "Experts" here suggested or should I say twisted your arm into buying a fuel pressure gauge and a ohm meter which you in turn used to check the injectors and you found NO PROBLEM with them (they must have been OK because replacing them didn't fix your problem-right???) but you went ahead anyway-- contacted a vendor and purchased replacement injectors. Now somehow in that FOG you must live in--it's the forum members (Experts) fault that you removed perfectly good injectors and bought more to replace them with--oh by the way lest I forget--YOU contacted FIC and they did exactly what they're in business for SELLING INJECTORS--I really can't understand why they would do something like that It's a shame you didn't go to your dealer first instead of posting here and wasting some of the members(Experts) time. I SURE HOPE THAT"S WHAT YOU DO NEXT TIME!! There really are some Experts on this forum ( I've always said it takes talent to know talent) but I wouldn't expect someone like you to know that. As far as FIC goes they have a super online reputation kudos to FIC Remember always go to your dealer first ! As it turned out I put on a $16 part called a fuel relay switch.... Problem solved. Not one of these online "Experts" even mentioned the fuel relay switch..
Nobody has ever reported a pressure switch that worked cold but not hot;They either work or don't. As others have pointed out there is only one person to blame here, you came to an open internet forum for free advice then imagine some worldwide conspiracy to take your money. Right or wrong I'm sure any advice offered here was in good faith trying to help you. Not really any surprise a local dealer who could actually test the vehicle had better results diagnosing the car than forum members relying on your description of the problem. The only pressure to buy anything came from your own mind, Jon at FIC is known in the Vette community for honest business practices and service above and beyond the highest customer expectations. No I am not affiliated with him in any way. I did contact him for his side of the story and he expressed regret at your experience and will be happy to refund your money, simply return the injectors. Bummer. Should I cease sharing my personal experiences as a result of this? Never did I claim to be an "expert". I'll re-think offering any advice from here on. Hi Chuck, No, I for one welcome any honest report and I hope the majority of members feel the same way. If they don't I wouldn't want to be a part of it. I don't see your post on this subject, enlighten me. Seems there are some people that think you have money to spare because you have a vette. They have the arrogance of the ignorant. Roger. Well Roger, Since you have painted ME into a corner, I must respond. I know it's easy for someone to sit at a keyboard and pass judgment on the rest of us, I'm sure Geography has something to do with your response. My point was, after owning Vette's for almost 40 years is that they are not inexpensive. I do all my own work and only rarely look for help and appreciate it when I get it. Have I spent money on parts that were not the problem??? Sure I have, along with many others. Do I attack people because I do not have experience in auto repair???Noooo. 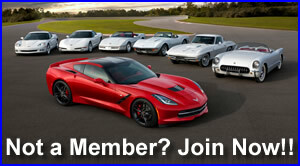 Maybe CAC should add a new forum, "Vette repair for misers/tightwads and cheapskates." Like I said, some people don't like to spend money and if your that type, you have the wrong automobile. Thanks Roger, I await more insults.